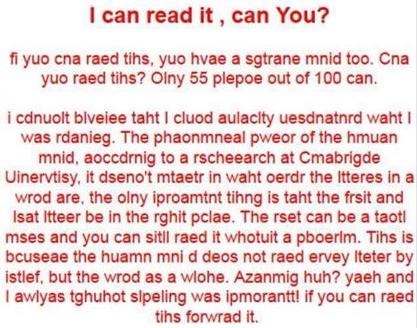 I Can Read It, Can You? Write a program that converts a string with approximately 100 words of your choosing into text similar to shown above. Be sure you write a function to convert each word individually. The rivals of my watch, bid them make haste."